This is no recipe post, if you see the 4th picture you will be able to make it.. Hope you all will enjoy this. The roses on the top are Baked Meringue cookie. Can u even imagine how much u tempted ppl wid these pics?? Parfait cannot be any better than this Pavi...kalakitenga. Supera iruku and just today I posted pineapple drink too :) Yummy tempting parfait!! Beautiful and delicious.. Can I grab that from here?? Wow!!! such gorgeous presentation and pics..stunning!!! Wow is the only word I can think of saying now.Its indeed a visual treat. thats a set of beauties...very neat presentation. delicious recipe. Stunning pics, makes me want to grab a parfait! Beautiful !! very tempting !! well presented too !! These are beautiful and elegant. They sound refreshing as well. 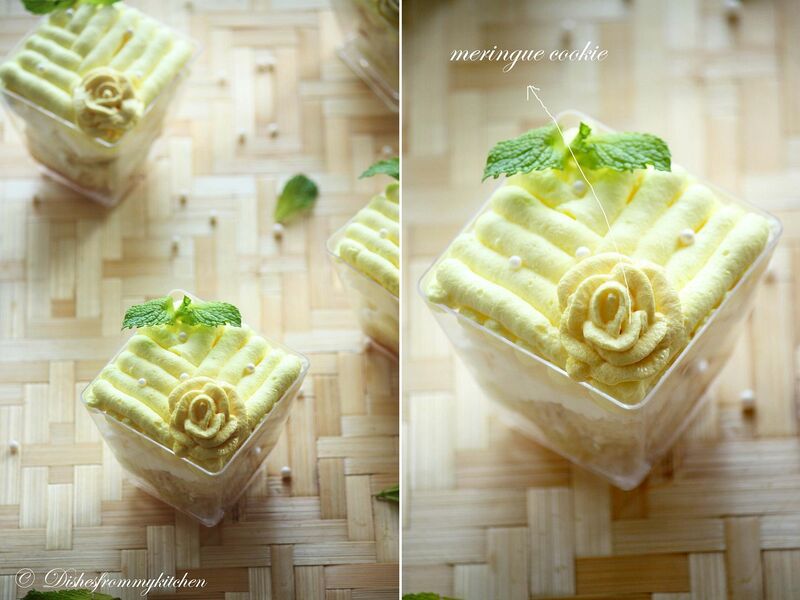 I love the way you decorate them extra special with that meringue cookie on top! U amaze me each n every time with ur fab recipes and clicks !! I am seriously drooling here. The beautiful golden frosting on top. Classic work! 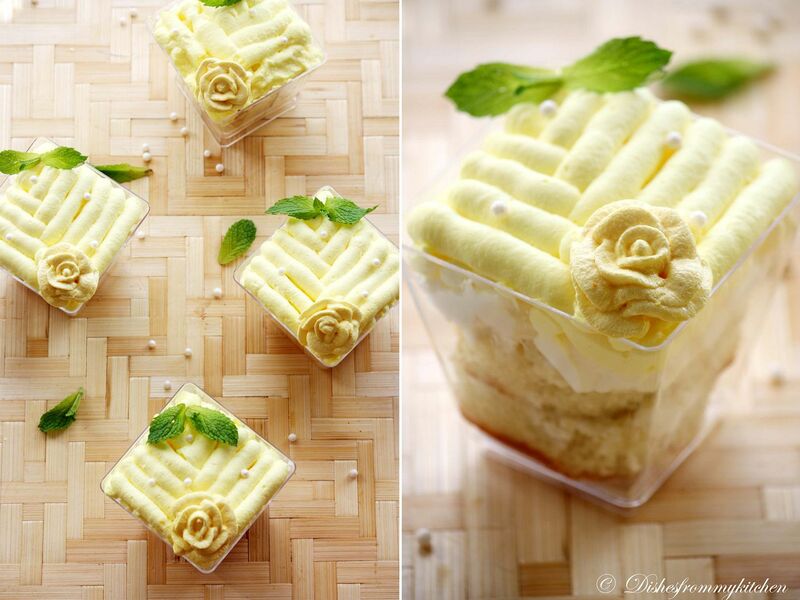 beautiful n superb pics...parfait looks very cute n yummy! !nice presentation pavi! 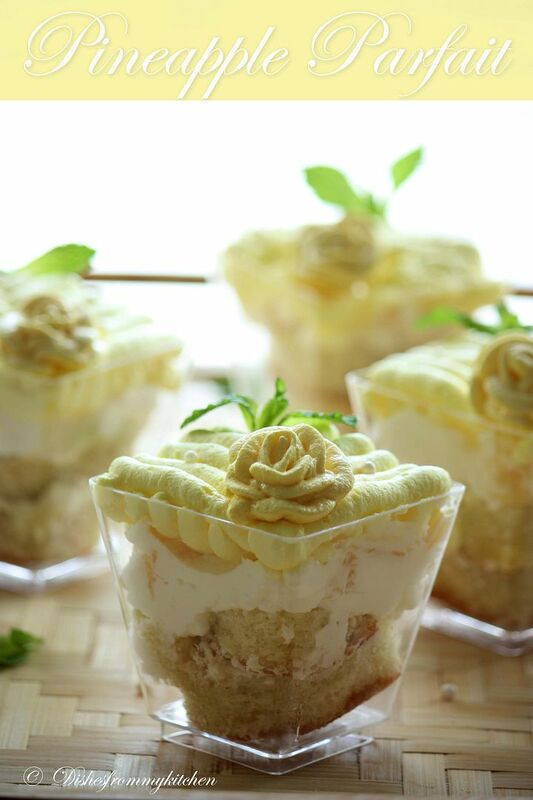 Delicious and outstandingly marvelous pineapple parfait. classic pics n its so awesome..
Amazing and mind blowing clicks dear. OMG,mind blowing pavi!Awesome work and effort! 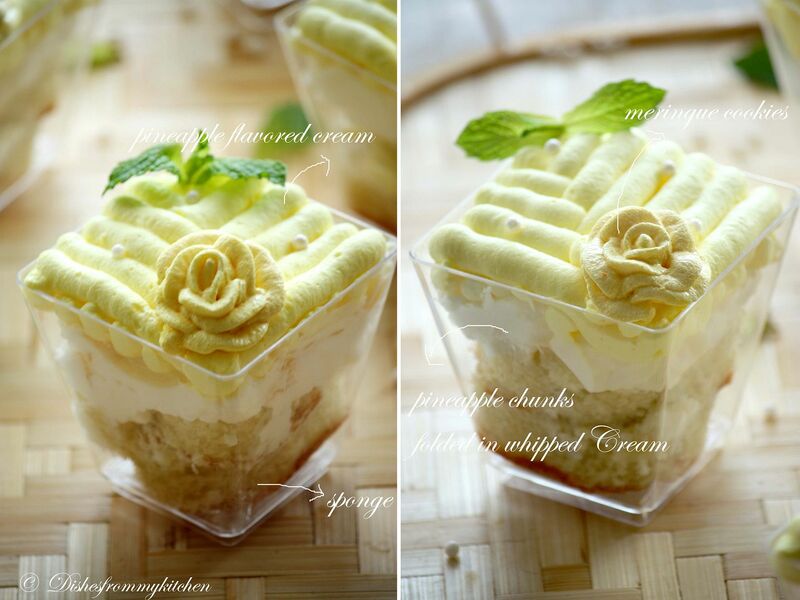 Love the recipe very much,love all desserts with pineapples :) super shots! Gorgeous, sensual & a work of art!!! 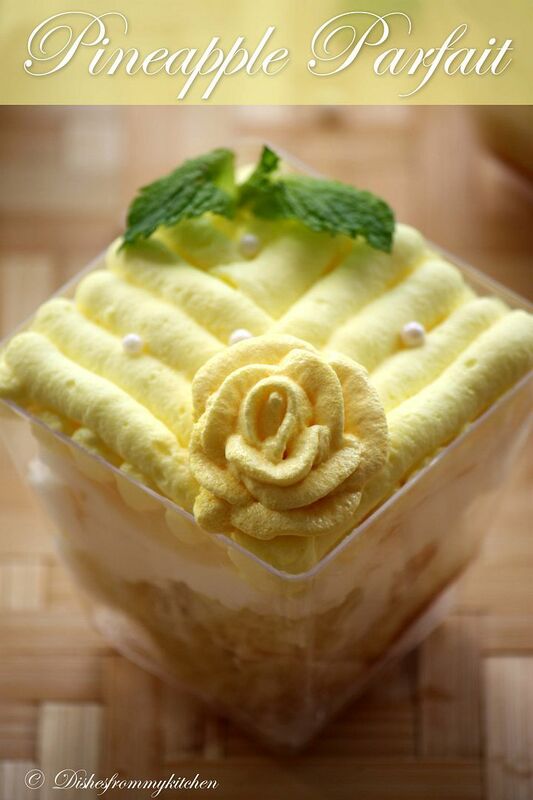 Cant take my eyes from that droolworthy pineapple parfait Pavi, lovely desserts, super inviting..
That's amazing work. Super cool parfait !! 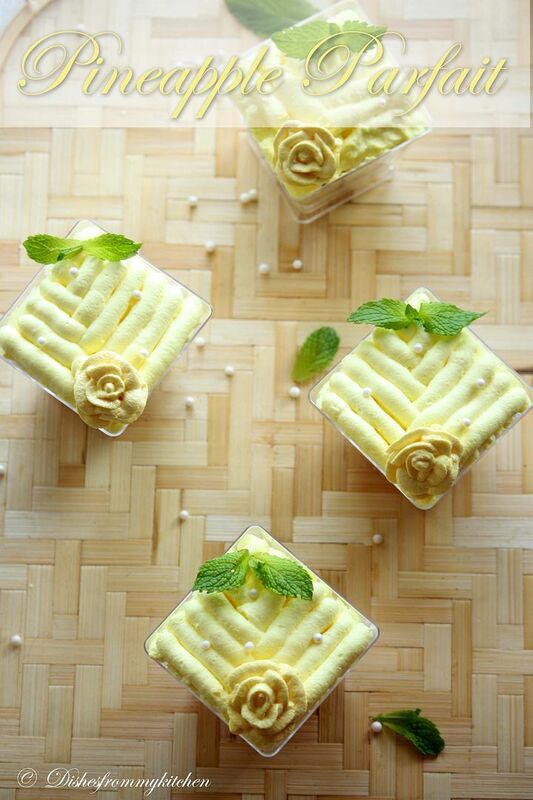 You made a simple recipe into a gorgeous beauty! The parfaits are so beautifully decorated and presented! 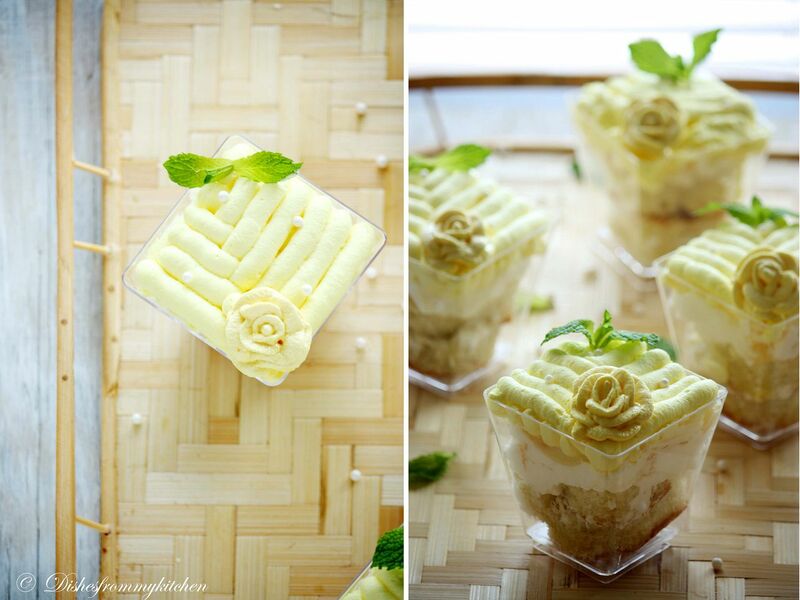 The presentation of your parfait is so gorgeous! Your photos are stunning, very professional! Thanks for visiting my post on Indian food, your opinion is specially appreciated :) Looking forward to many more dishes from the Indian cuisine! I loved it! That looks yum. The design on the top of the dessert and the meringue flower is just amazing... Truly a work of a "Pro Chef"... Good work :) Keep it up... Superb..
Can't take my eyes of this parfait, a sure visual treat. Looks fantastic. Wow! Perfect parfait! As always gorgeous pics. Wow that's awesome,gorgeous and extraordinary.Now words to explain the parfait.Cookies are also looking too cute.Superb pics and nice presentation.Happy to follow you. B/w r u also arya vysyian. Oh my god!!! These are so gorgeous Pavithra!! Absolutely stunning pictures. How did you make the rose shaped meringue cookies??? I can't take my eyes off the screen!! Pavithra, speechless. Everything about it is so perfect! !